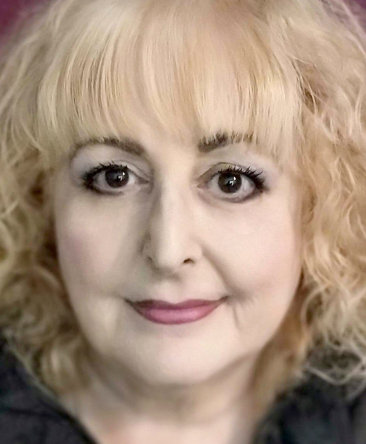 Hi my name is Catherine and I am honoured and humbled to be a gifted Psychic Medium, having the ability to connect spirit to their loved ones and their spiritual family. 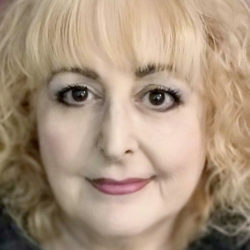 My psychic work spans more than 17 years specialising in the areas of mediumship, spiritual counselling, grief counselling and life readings. I find it so rewarding in that I can help others find their true self. I do this by offering them the direction and guidance they need in their own lives, and in their own time. I have been psychic all of my life. I became aware of my mediumship abilities at the age of 5 years when I would see earthbound spirits and hear the whispers of my Angels. In my adult life, I opened myself up psychically and embraced my true self for my beautiful and gifted daughter. She too was showing psychic ability when she started having dreams that came true. So I decided I would be there for her to guide her through her psychic experiences and development. We attended classes together to learn our gifts and to learn to open up to Spirit. I also read many books on healing, mediumship, clairvoyance and I have received knowledge from the best teachers in the universe. My spirit guides have been my teachers and my mentors. Their guidance and protection for us both has been so humbling. I have also conducted training and meditation workshops, house clearings, light work and stage work to large groups of people looking to connect with their loved ones, or seek answers and guidance. I am surrounded by a beautiful family who too are blessed with psychic abilities, and help support me in my work to help bring light and hope to people. Connecting with past loved ones can bring hope and light to you too. I communicate with my own past family members, and it makes it a lot less sad knowing that I am surrounded by their love and protection. A priest or pastor will talk about The Heavenly Father, Our Lady or Jesus in the third person. It is an amazing feeling to have them as your mentors and to see them when you look towards the Light. If you would like a reading with me please use my ID No. 2090. Or you may wish to order an email reading from Catherine by clicking here. Interested in doing Rose Smith’s Spiritual Development Course “How to Be Spiritual and Surprisingly Successful at Life”? Available for a short time for only $49.00 (normally $147.00). Click this link to find out more. A voice message for you from Psychic Catherine. Click Play below! Catherine is rated 6.0/6 from a total of 63 Rated Reviews. Wish I could give more stars each time I call this lovely lady. She is so right with everything she predicts for me and my family. Thank you so, so much… you’re a lovely and warm caring lady and thank you for bringing grandma in. Wonderful Catherine! We spoke on 7 April 2019. What an impressive gift you have. I consider it an absolute privilege to have connected with you. Thank you for your insights on relationships and career, and for the messages from dad. Everything you said resonated with me. Thank you so very much indeed. Blessings to you. Thank you Catherine. Always a pleasure to talk with. Genuine and kind. Dear L.H. Thanks for your kind words… I’m so touched. Follow your feelings… I know you will be great at creating your perfect world & find true happiness. Always here for a chat and words of love and guidance from Spirit. Love always. Catherine was amazing. My dad passed recently & Catherine was able to connect with him & provide some peace for us all. Sorry Catherine it's taken me a few days to put this review through BUT thank you so much for my reading on Sunday, it was absolutely wonderful and refreshing! Especially when we were talking about my trip to Hawaii and my future with my beautiful soul mate! I can't wait for my future now and I most certainly will reconnect with you on my return to tell you all about it. I appreciate you so much! Catherine is a charm… we had a family reading done, so many right answers it was unbelievable. She was also spot on about my son's car that he has had nothing but problems… so very accurate. Can't wait for another reading from Catherine. Thankyou for the lovely reading. Without hesitation I would recommend Catherine to anyone needing deep insight into their situation. I'm lucky to have found her and would definitely call her again. What a beautiful reading I had with this lovely lady. She gave me great news and was right on target with what she told me. A positive reading. Thank you from the bottom of my heart. Catherine is amazing... I don't have words to describe how I feel. I was lost and looking for some clarity, you connected me with my grandfather who always guides me, and I feel so much better after talking to you. Catherine is a heavenly, warm hearted soul. She is able to pass messages from the other side with understanding and consideration for the recipient. Highly recommended. I have rung Catherine twice, reaffirms my thoughts so hopefully on the right track. And yes, will be going to SA!!!!!!!! Catherine! Thank you so much for connecting me with my grandmother. She has never come through as strongly as she did with you! You were spot on about everything. The specific descriptions about her jewellery and about my children are unbelievable. I can’t thank you enough. If you want to connect to a loved one I highly recommend you speak to Catherine. Catherine I feel that I really connected with you. Amazing reading. Thankyou. Oh my heavens! I cannot believe the detail that you just gave me Catherine! You are truly amazing! I have more than goosebumps! You clarified lots of issues but when you asked if I wanted a boat for my dam, I knew you were the best reader ever! Thank you and you will get to Paris my darling! I promise! Thankyou Catherine for all your help and guidance with my hair, health and men issues. You make things clearer for me. Highly recommend! Catherine, I am very grateful for your insight and helping me to connect with my father and mother. You were accurate about both of them. THANK YOU. Thank you Catherine for the reading, and connecting with my grandmother (it was her wearing her glasses on the chain - I remembered afterwards) and mother. Your reading gave me hope for the future knowing that things that we spoke about will work out positively. Catherine you really are incredible - I loved talking to you. I rang Catherine and was amazed with the information given. I really like a person for a year and can't get myself to tell him that, but I know that he feels the same way. Catherine told me that he will contact me in three weeks and to check my inbox as it will be there!!! She was absolutely correct. She told me things that keeps coming true. Thank you Catherine for an unexpected reading! My initial question was quickly dealt with and the messages from Spirit, messages from my mother, grandmother and ex mother in law were lovely and very healing. It was encouraging also to hear that I need to return to using reiki, tai chi and opening up to my mediumship psychic skills, with support and direction from Spirit. I have had a few readings with Catherine over time. She is lovely to speak to and always makes you feel better. I find her readings to be pretty accurate and look forward to having another reading with her in the future. Catherine is wonderful, I feel very blessed to be able to connect with her, many thanks Catherine and Absolute Soul Secrets! I have been consulting Catherine about so many things that happened in my family lately and she has always been very accurate, and also kind and reassuring. Many thanks! I have spoken to Catherine a couple of times, very understanding, caring and on the spot of what she can see. A lady who is very gifted… love talking to her. Thank you for your reading today Catherine, very kind, accurate and insightful. I decided to text him and received an immediate reply! Thank you for the messages from Margaret as well, you described her exactly as she was in life. A bit bossy, loved upmarket fashion but lovely, loved to laugh and have fun. It's nice to know she's still hanging around me! Thank you. Thank you Mary for such a lovely heartfelt feeling you left me with. It's without a doubt you're a beautiful lady inside & out. Woo hoo… you got an instant message return. Spirit knows all don't they? Trust in Spirit & in your own intuition to guide you. I am always here to offer Spiritual guidance when you need it lovely. Catherine thank you, you pulled so much into my reading, which I have faith you were connected to me. You have my faith on my current path and my own connection to spirit. Bless you. Hi Catherine, once again you always help me and guide me with all your wonderful help in accepting my gift. If it wasn't for you I would be still doubting my abilities. What more can I say than you are an extremely gifted lady and have been sent especially here to make people's lives so much easier after talking to you. Thank you so much and love to you. Thank you Catherine for your reading. It was extremely spot on and I was very surprised with what you picked up and look forward to the events to unfold. I recommend anyone giving you a call when they really need guidance. You are a very lovely lady to talk to with lots of warmth and compassion. She’s the light on a dark day. I had a wonderful mediumship reading with Catherine. She was very detailed and exact about certain situations in my life. Lovely and very warm and approachable lady to speak to. Many thanks for the lovely chat. I am now reassured everything will go ahead, slowly, but still forward. Appreciate the kind words… Thank you. Hi Lynda, thanks for your lovely words. I loved our chat. How great you are ready to embrace your new life. Woo Hoo! If I helped then that is fab, however I know Spirit would so keep whispering in your ear & heart. Enjoy your new beginnings lovely… you are already nearly there. Until next time and take good care. Catherine is always spot on and delivers a lot of information in a very caring way. You will know she is the real deal instantly. Thank you Catherine for sharing your gift and for supporting me through a drawn out situation. A lovely person to talk to - gentle manner- keen to help and willing to look at all options. Many thanks and much appreciated. Thank you for an incredible reading yesterday. Your words are so timely. Aww thanks gorgeous S.B. I’m always here to help whenever a little bit of a spiritual helping hand is needed. You came to your reading with an open heart and soul which flows so beautifully through you to us. So thank you so much. I look forward to the next time we have our chat. Remember to listen to your heart. Michele thank you for your gift of words, very heart felt. The energy you bring when we chat is amazing… lots of orbs of spiritual light. It's always nice spending time connecting you with your mum and family. Your spiritual journey is on fire Michele… trust in the spiritualist you. Once you find your feet, look out all as gorgeous Michele has her wings. Looking forward to our next chats. Catherine is a lovely person and a truly talented reader. I always enjoy talking with her. Hi Sann and thanks for your lovely words. I love our chats! We do have a few giggles before we get to Spirit & I love you get my humour. Sann you are gorgeous, witty, intellectual & strong. I love that you know what you want. Thanks for allowing Spirit and myself to help. Looking forward to our next chats. Loved speaking with Catherine today. She was able to connect with my passed over family. Catherine was able to pinpoint issues, which helped with my situation. Catherine's gentle nature helps you make your decisions from a clearer perspective. I got so many goosebumps with the information that was coming through. Catherine is very gifted. I'm looking forward to my next reading! Hi I have spoken to Catherine a few times now and am really grateful and thankful for such a kind lady and very patient and helpful towards me. I have been worrying about an issue at the moment and after speaking to her, I have come away so much more light hearted. Certainly one very gifted and accurate psychic and wonderful human being. Thank you Catherine from the bottom of my heart. Hi Michele. I am so humbled that I can send my thanks for your beautiful words. I look at you and see beautiful light that you selflessly use for your family. I always love helping you on your journey. Lovely gifted Michelle, always trust in yourself and carry your words with you on Angel wings. I have been talking to Catherine over the last couple of years, and she has been spot on every time, and has confirmed connection with my loved ones that have passed. She was so good that she told me about my Grandmother's broach that I knew nothing about and where it would be. She has always given good accurate guidance and is someone I will always call for future guidance. A true gem. You want to know how accurate the reader is and how often. You want the real deal, not a pretender. Catherine has read for me regularly over the past 3 years & is VERY accurate. She has given messages & predicted events without the topic even being brought up. She predicted jobs, family matters, thoughts & feelings of others connected to us for the good. I trust her! I have had a few readings with Catherine which have been very accurate about what is occurring in my life, my father in spirit has come through which is very heartfelt and special to me. She is a very compassionate, lovely warm lady which I feel a connection with. Give her a try, she is worth it. Catherine you are genuinely gifted. I cannot thank you enough for all the information you passed on, for your encouragement and connecting me with my beloved father in law. Your past predictions have always come true and I look forward to your predictions for my future manifesting. Thank you Catherine. Catherine is one of the two most accurate readers on your site. She was pretty spot on with what she picked up about me and what’s currently going on around me. She is a great psychic. Recommend her. Hi Catherine. I asked for help to find my keys. You were right they were in a dark place and you told me they weren’t in my car, but then said they were and asked if perhaps they had fallen down... I responded no I had checked. Anyway a day or 2 later I was thinking about them and my car and realised I did not check where the spare tyre was. I checked the spare tyre compartment and there they were, along with a few other items I "thought" I had lost. I remember now how they came to be there. I was getting a stroller out of the back of the car, I couldn’t grip it properly because my hands were full, so put the keys down and that’s when they must of slipped down... Thank you Catherine you were very accurate. Thank you so much Catherine for your genuine caring essence. You were so helpful and understanding of my situation. Your guidance and support meant and still means so much to me. I felt so at ease with you. You are such a warm loving soul. Thank you. I've had readings with Catherine fairly regularly this year, she was the only one who predicted things as they then actually really happened. It was a very difficult situation and her advice was brilliant. I can't thank her enough! Her connection to spirit is clear and her messages make a lot of sense. She is now my go-to psychic because I know she can really help me. Thanks and blessings. Connected. Honest. Caring. Forthright yet gentle. Genuine. A true messenger of spirit. Just a few words to describe the immediate impression I got from speaking with Catherine. This lady is the real deal. I called seeking some clarity on one issue. I got so much more than that. Catherine is clearly so tuned in that I thought I'd ask about another issue and another and another. Sweet divine Catherine (and of course spirit!) patiently walked me through each concern I had. So much clarity and good advice. Thank you!! And what a lovely joyful lady!! Bless, bless, bless. I rang Catherine in a very anxious state regarding a relationship issue that has been stressing me for several months. I had a reading with Catherine this afternoon. Any information about my relationship that I could verify was amazingly accurate. The entire reading rang true to me. She did not give me the blissfully happy ending with this man that I would have liked to hear but I believe that everything she told me was 100% accurate. There was a lot of detail too which I appreciated and really needed. Her answers were clear and precise and always to the point. The entire reading was generous and kind- hearted and supportive. Thank you Catherine. I am very grateful to you. Catherine has been a wonderful spiritual support to both myself and family over a long period. She has made accurate predictions before situations even arose that seemed from the outset unlikely or unrelated to topics, only to find at a later stage she was giving me forewarning and her predictions were trustworthy. She has given very detailed information about specific situations and how they would unfold. She has been spot on and I have been blown away many times, she has foreshadowed events unfolding before they occurred. Great honest reader time and time again. It was a valuable experience speaking to Catherine. Very psychic and a medium also, so a great reading. I was very grateful to receive her accurate insights in answer to my questions and I will certainly call her again. Many thanks. 6 stars ******! I absolutely enjoyed Catherine's reading. Also being a psychic reader myself, I genuinely want to share how accurate Catherine is. Her energy is divine. I highly recommend having a reading with this truly gifted soul. Blessings and much love. Catherine is amazing. A very gifted soul. She has given me clear guidance and understanding of my situation, and was 100% accurate. Very impressed by the detail she gave, a genuine caring person. Catherine, you are a shining star! Thank you for giving me something to hold onto - Catherine's accuracy is very reassuring. She is pleasant, kind and considerate with a warm-hearted sense of humour. I am very grateful for her generous readings. Thanks very much Catherine. Great reading with Catherine. Gave me confirmation that she was genuine. She also predicted things so looking forward to the outcome. She gave me direction when I truly needed it. Thank you! What an amazing reading! Catherine surprised me with bringing in messages from my parents and friends who passed away, she knew details only I and the respective people knew. Very impressive!